Some of you have commented that there have not been any additional chapters about our Great North American Road trip. In December, Bernie began to experience severe pain below her left shoulder and around her left rib cage. Just after Christmas, while we were in Mexico, we went to a clinic that determined there was a considerable amount of fluid between the walls of Bernie’s left lung. To cut a long story short, we decided to come home and Bernie flew to Toronto from Phoenix on January 9, arriving about 6:30 PM. Our son-in-law, Barnaby, took her directly to Cambridge Hospital where she was admitted. 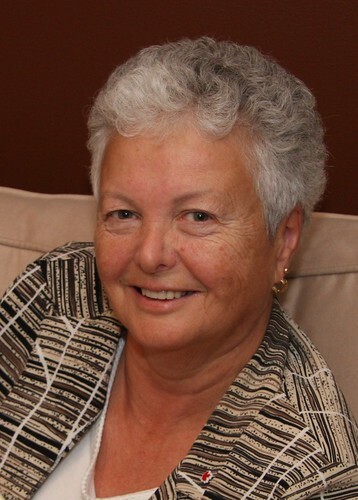 A few days later she was transferred to the Firestone Centre for Respiratory Health in Hamilton and on January 16th she was diagnosed with lung cancer, which had already begun to spread. On the following Monday they did a bone scan which indicated the cancer had penetrated to most bone groups and that she had Stage 4 cancer for which there was no treatment. They could only make her comfortable and control the pain, which they did. Her condition worsened rapidly as the cancer spread and multiplied throughout her body. This past Sunday they began the final drug treatment, to relieve pain and reduce stress and our daughters, sons-in-law, grandsons and I, along with many friends, all came to say goodbye. At about 7:45pm on Monday, February 2nd, 2009 she took her last breaths and departed for the Great RV Rally in Heaven. Although very sad and tearful, we were relieved that her ordeal was over – only 17 days after the first diagnosis. When I heard the verdict on January 16th, I decided that I could never RV again, without my navigator. But I have changed my mind. It is now my intention to continue, at least part-time, later this year. I will tell Bernie my itinerary and describe the sights along the way. I believe she will watch over me, as she has always done, and guide me as we travel together in spirit. At the moment I am a bit of train wreck, but friends and family who have been through this tell me that the first hundred years are the toughest…after that it gets easier. So stay tuned, there are still a couple of chapters to be written about our final destinations in 2008, but you’ll have to put up with me. There may be some tears on the pages. “It’s not the destination…it’s the journey”.